Caution: if you are hungry don’t read this article. For Baselworld 2018, Nomos just unveiled their new delicacies: The Petit Four series. The Nomos classic Tetra in 4 new colors: Tetra Pearl, Tetra Azure, Tetra Matcha and Tetra Grenadine. The Tetra Pearl features golden hands, the finishing touch to its powdery pink dial. They are accompanied by indexes in violet; “if this Tetra were placed in the window of a Parisian pâtisserie, it would be long gone” – according to Nomos. 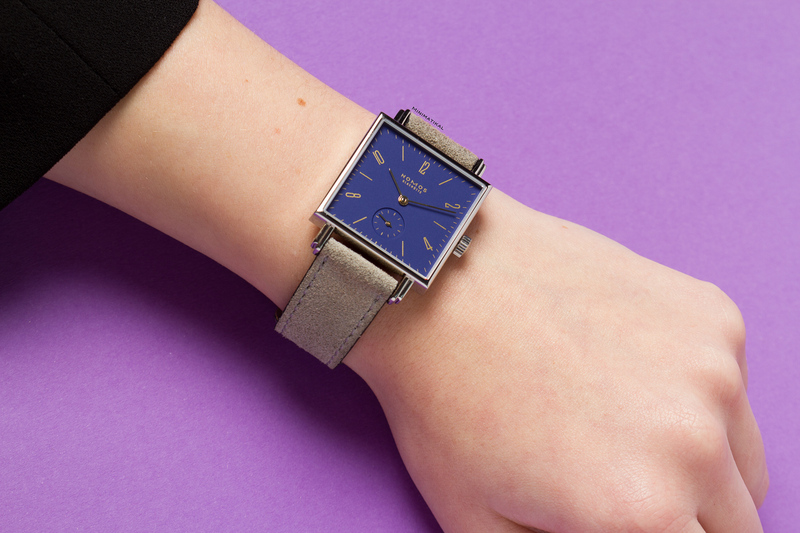 The slender case is featured with a velour leather strap. The blue “azure” color of the dial is supposed to remind you of a clear summer sky. An ode to the beautiful days that should come soon in Europe. A very contemporary and poetic model that features green hands and grey indexes. Tetra Matcha is undoubtedly eye-catching. The light green dial adds a fresh touch to the watch. The watch features silver hands and deep blue indexes. Tetra Grenadine is inspired by pomegranates. The fruity bold red color of the dial makes it a noticeable watch. The watch is dressed with dark red indexes and golden hands. Within the four new versions of the NOMOS classic Tetra: the NOMOS hand-wound caliber Alpha. 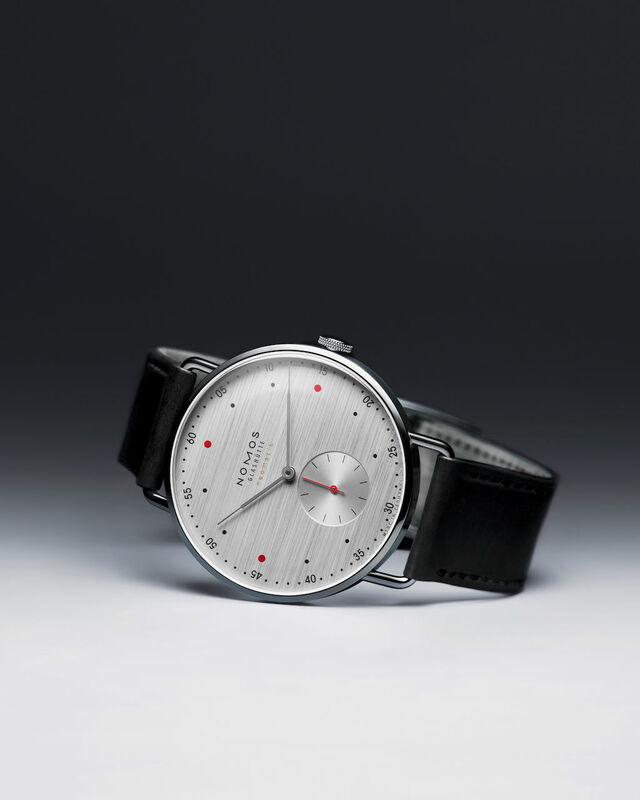 The Alpha caliber is NOMOS Glashütte’s highly acclaimed classic. It was their first movement and the one that ticks inside Tangente, Ludwig, Tetra, Orion, Club and all the watches in their 33 series. Without falling in the trap of cliché, the Petit Four series seem to target a female audience, even if their style is versatile. We have to admit that we found these watches very sweet. The colors are quite entertaining and, of course, it looks delicious. Maybe we would have appreciated a smaller size than the classic 29.5mm square Tetra that would better fit the name and the atmosphere of the collection. In the end, Nomos proved once again their limitless creativity with these fresh new limited editions. Stay tuned for other Baselworld novelties and bon appétit!